IN STOCK READY TO POST! 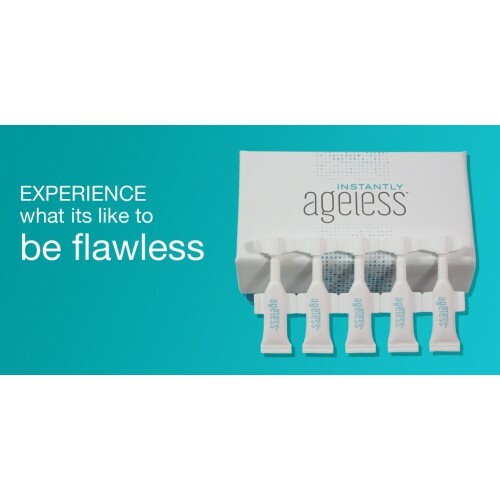 Please be aware these are for the fabulous, easy to use, new Instantly Ageless Vial's! SEE IT IN ACTION! CHECK OUT THE VIDEO AT THE BOTTOM OF THIS LISTING! This super powerful anti-wrinkle microcream that works LITERALLY within minutes and effectively to diminish the visible signs of ageing. Revives the skin and minimizes the appearance of fine lines and pores for a flawless finish. NO WAITING AROUND LIKE OTHER SELLERS! THESE GO OUT THE SAME DAY IF PURCHASED BY 2pm ! SPECIAL NEXT DAY DELIVERY OPTION AS WELL ! So What Does This Phenomenal Cream Do ? Lightly pat a very thin layer to targeted areas; leave damp on skin and remain expressionless for 2–3 minutes while product dries to achieve dramatic results. One Vial typically gives 2-3 uses depending on individual use. Use as directed and avoid contact with eyes. If product gets into eyes, flush with water. Results are not permanent. Use as directed and avoid contact with eyes. If product gets into eyes, flush with water. If any contact occurs flush with water or seek medical advice. IN THE 3 MINUTE VIDEO BELOW !